An exhausting and exhilarating bevy of local high school basketball championships culminated with breath taking moments of emotional elevation that more than confirmed the purpose of athletic competition last week. 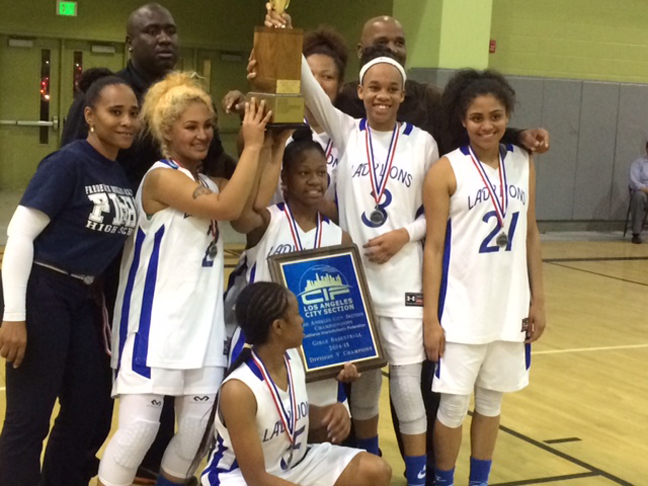 Beginning with the L.A. City girls Division V title game at Roybal Learning Center downtown and concluding with the boys City Open Division triumph in Carson, the hearts throbbed, the hands clapped, the voices roared and the tears streamed in one of the most memorable seasons yet. Ivy Academia and Fredrick Douglas high schools only had 13 players between the two teams in the D-V final, but the effort was immense as Douglas rolled to a 66-34 final. Led by junior guard Terrin Sullivan, the daughter of head coach Terrance Sullivan the diverse charter school was a reflection of how the sport of basketball can mesh culture to develop character. In the D-V boys affair, two predominantly all Black teams battled into overtime before Middle College downed Fredrick Douglas 48-43. Douglas was coached by 25-year old Devin Price who looked younger than some of the players in the game. LACES’ Deion Thompson doesn’t look the part of a sideline barking girl’s basketball coach sporting blue jeans and hair in long dreads, but his blue print for championships is among the best. As the pilot of the Unicorns ethnically mix of Whites, Asians and Blacks he has coached LACES to two consecutive D-IV City titles and the streak expected to continue into next season. The Lady Unicorns overwhelmed an all Black Animo South LA team 66-22. Meanwhile another LACES pilot, Manasa Chanaiwa also celebrated his second title at the school of high-level academic achievers with a come from behind 66-60 victory over View Park in the City D-IV boys championship. LACES got a breakout performance from freshman Mekhi Kimble who sank three consecutive three-pointers to seal the victory. 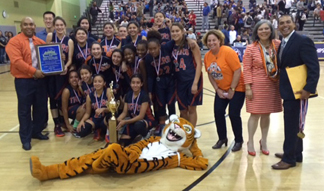 Arianna Harper is only in her first year of high school, but she is already a major impact star for the Legacy Tigers, which captured the City D-III girl’s title with a thrilling 66-56 win over Polytechnic of Sun Valley. Harper was one of just three Blacks on the predominantly Latino team that won its first City championship. In the boys City D-III final you would have needed a calculator and a spring in you neck to count and watch the number of three points shots fired in this game. It was a contest which featured predominantly Latino Franklin and a half mix of Latinos and Blacks of Bernstein and two teams combined for arguably the most exciting of all City finals. Franklin was led by junior Philippian Alvin Basco who is capable of playing for any team in the City while Bernstein relied on the brunt inside play of junior Ishaq Robinson and the outside fire power of juniors Joe’l Towers and Warren Reis to survive a 65-54 slugfest. Elsewhere, Hamilton boys won the City D-II title and Sylmar boys and Westchester girls won the City D-I championships at Cal State Dominguez Hills on March 7. 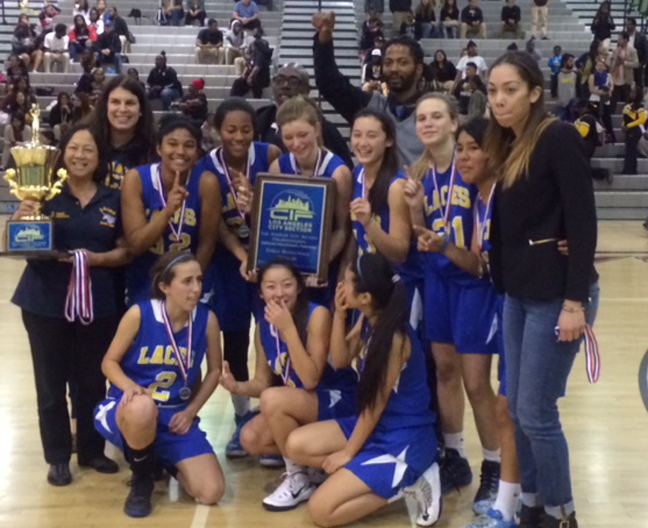 The inaugural Open Division championships were won by Fairfax boys and Palisades girls at Dominguez. Palisades defeated Narbonne 60-56 behind the long range shooting of junior Kayla Merill Gillett and sophomore Chelsey Gipson and the all around play of senior Bianca King. Narbonne was playing the game without its head coach Victoria Sanders who had been suspended for allowing her team to wear the colors pink in two playoff game victories. 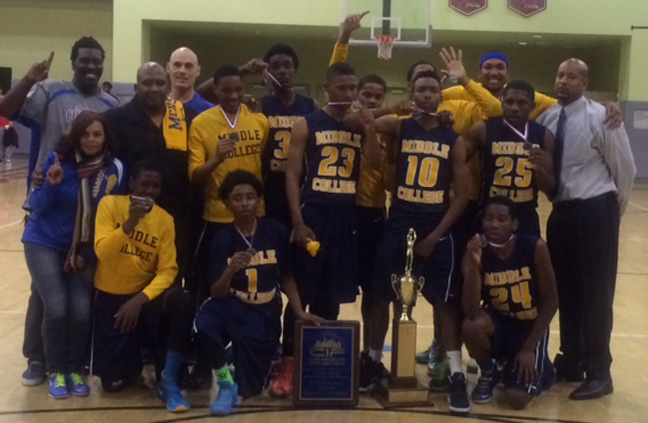 The team was coached by boys coach Anthony Hilliard. 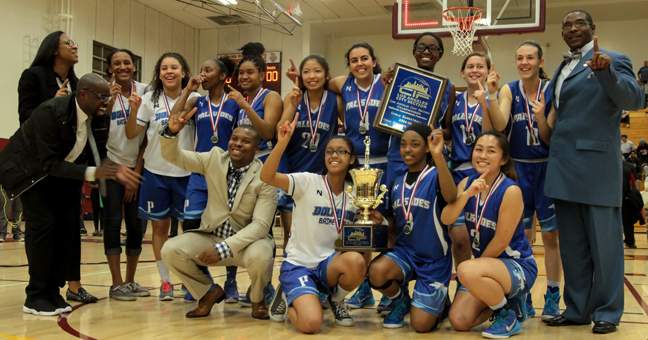 However, it was Palisades coach Torino Johnson who deserves much of the credit for his team’s win. Johnson coached the Dolphins to their second City title. Fairfax won its first City title since 2007 when the Lions upended Westchester in the boys Open final at Cal State Dominguez. Led by senior Isaiah Ajiboye, the Lions led the Comets from start to finish to win going away 56-47. The victory avenged a Western league loss at Westchester when the Lions blew a double-digit lead, but now are prime candidates to play for the Southern California Regional championship this week. Fairfax improved to a remarkable 30-2. 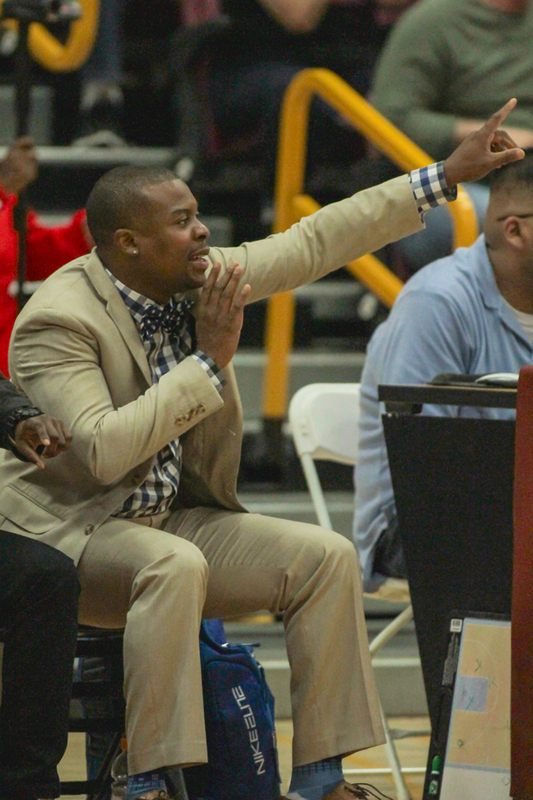 Compton High coach Tony Thomas’ father was the first Black basketball coach at Comp ton and on March 7, Thomas led the Tarbabes to its first CIF title in 46 years, since 1969. Compton dominated Redlands East Valley in the CIF-SS Division 2A championship game at Honda Center, defeating the Wildcats 63-48. Compton was led by Raysean Scott and Javonntie Jackson. Thomas has been at Compton for nine years and after his school played for years in the shadow of neighboring Dominguez, now its Compton that is king of the city. Senior Robert Lewis scored a game high 16 points, while Jackson had 14 points and 18 rebounds, and Scott and Anthony Squalls added 10 points apiece.